Under the name Sweets Hotel, a group of designers and architects is transforming the city’s 28 bridge houses into unique “hotel” rooms across the city. The mostly historic structures once served as the work space for bridge operators, but the eventual change to automated technology has been rendering the buildings useless. 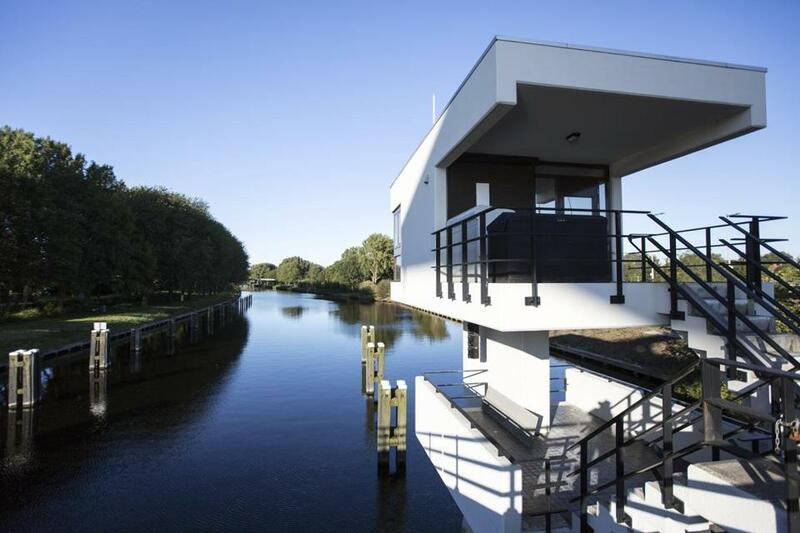 The oldest house dates from 1673 and is located on a lock in the middle of the Amstel River, while the most recent is from just 2009 and is on IJburg, a contemporary residential neighborhood built on artificial islands east of the city. So far 11 of the 28 are ready, with most of the rest of the properties coming on board throughout the year. Because they’re so small (one of the most diminutive is 130 square feet) only two people can stay there, and must be age 21 or older. Before transforming the structures, which the partners are leasing from the city, they gather for what they call a “design picnic.” “We all go to the small house and stand inside and think, what is the power of this particular house? Which period is it from? What is still there? All the interior design is contemporary, but we try to translate the image of the house and of its period,” Oxenaar said. One of the next available is the oldest, the adorable Amstelschutsluis, which sits on a concrete lock. Because it’s in the middle of the Amstel River, it must be reached by boat — hotel staff will transport guests by electric boat. Prices start at $187 a night. Stays can be booked online at sweetshotel.amsterdam.